In a constantly evolving digital culture, work is no longer just a place that we go, stay for the allotted amount of hours, and then leave behind on our way out of the office door. Being constantly connected to each other, both socially and professionally, always having access to the world at large, and with limitless information at our fingertips, work is now an ongoing activity; from checking our communications in bed, to working on reports during our daily commute, work is now something that we can do at unconventional times, and from wherever we happen to be. Today, work isn’t just a destination – it’s a concept that we (often literally) carry with us, and rarely switch off from. Of course, the digital era is both cause and effect for remote working and the pressure to always be available; it is the very boom in technology itself that has enabled us to receive, undertake and submit work without physically being at our desk. Because these options are now open to us, more and more workers are carrying out tasks in their own time, either by choice or perceived necessity as an addition to their heavy workloads and packed schedules. With ever-growing demands on our attention, it’s important that the technological systems we use support and maximize our endeavors, and enable us to filter out information noise, improve productivity and enable content sharing for the best use of our time. Less from obligation and more from preference, a new generation of employees actively expects remote working and digital connectivity as part of their role, wishing to work from a location, device and timetable of their choosing – or at the least, working with the latest tools. Even if they are required to be consistently present at their place of work, this demographic will not be impressed with outdated modes of internal file organisation, or sluggish systems. Having become so familiar with innovation within their personal lives, younger workers anticipate the same crossovers in their careers, looking to harness the capabilities and convenience of gadgets, apps and software to provide them with a level of flexibility and productivity unavailable to previous generations – a mindset that employers, and the technology they deploy, need to increasingly strive to facilitate. Remote working and increased digital connectivity isn’t just an advantage for employees; businesses also benefit from these rapidly changing ways of keeping in touch and accessing content. Workers who are empowered to find the files they need on the move, and who have the freedom to ping ideas to their peers remotely, are likely to attain higher levels of productivity, and be happier with their working circumstances. Embracing digital approaches to accessing and sharing work also attracts young, tech savvy workers who bring their own visions and fresh ideas, complimenting an existing and experienced team. Giving workers access to office assets – wherever they are. Workers may have less of a physical presence within the traditional office space, but what about the information we usually store within our workplace buildings and business spaces? Working remotely may suit your employees, and your organisation, but they will still need access to the host of documents and knowledge that form the backbone of your business, and that are kept on-site – even when your workers are not. 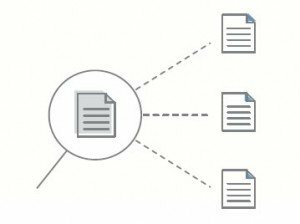 By selecting the right digital document management solution, you’ll be giving your employees remote access to a solid base from which to source the information they need, research topics and receive recommendations, and share and collaborate with colleagues on ideas and projects. 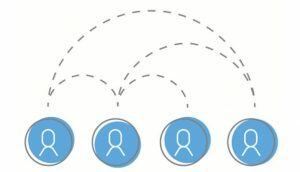 Even when remote working isn’t enabled, using technology to bring together files from disparate locations via a secure network will save time and effort in sourcing relevant content, and create a connected digital document management structure for interpreting information, immediate exchanges of ideas and knowledge sharing. With worker expectations shifting, and a technology-led climate dictating the way we work and do business, organisations need to implement a digital strategy that responds to these changes and keeps pace with the marketplace. Knowledge and information, and the documents that contain them, are still the core assets of your enterprise and its culture, and ensuring that you have the right digital approach to curating, locating, utilizing and sharing these files is key in giving your workers the data, and inspiration they need, at their fingertips. A tech savvy workforce demands that manual processes for document management are automated, and that the ongoing boom in digital content production is supported for improved workflow efficiencies and convenient retrieval. 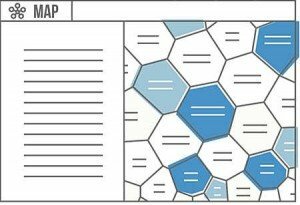 In truth, document management is changing at unprecedented speed, and in order to fulfill the needs of your highly-connected workers, and to provide maximum efficiencies for your business, you need to be adopting the appropriate technology to harness the power of the digital working landscape and ensure you’re keeping up. Noggle is the knowledge management solution that empowers any time working. With an increasingly varied approach to working, you need digital document management software that keeps your workers connected to the knowledge they need, as soon as they need it. Noggle creates a secure peer network that syncs and connects disparate locations, so that locating and retrieving files is now the work of moments, not minutes, allowing employees to find and share document libraries. Search and share new depths of content for the digital age, and easily collaborate on inspiring ways of working for a truly connected culture. To see how Noggle could make a difference to the way that you manage the files that matter, just install our free trial! The gig economy. The sharing economy. The collaborative economy. Whichever name you opt for, ‘on-demand’ employment is changing the way we work. Uncertain economic times are forcing companies to constantly strive to achieve better productivity using fewer resources, shifting to a transactional model of using increasingly short term and less demanding forms of labour with contractors and gig workers. In order to cut costs, freelancers are seen as a favourable replacement for the ongoing commitment of full time employees, with many workers now finding themselves reluctantly working in the gig economy for want of secure, skilled positions. But by regularly exchanging lasting employee development for ‘pay as you go’ stop gaps, are companies losing the core of the wider strategy they wish to execute – the institutional knowledge that is embedded into the long term workforce and culture of an organisation? These frequent changeovers at the front-line of a business means there is a risk that valuable knowledge is retained only at the top of the hierarchy. With so many gig workers now coming and going through the doors, temporary workers are bringing, and taking, knowledge which is just that – temporary. Every time a new joiner leaves again, knowledge is lost. The type of knowledge that is escaping can be categorised as that which can be written down, and that which can’t, the latter being the form that will simply ‘leak’ out of the organisation without better knowledge retention activity. As such, is this ‘knowledge leakage’ negating our interest in fully training and engaging with temporary staff, knowing as we do that they will be leaving us shortly? Without emphasising the need to retain knowledge at ground level, no matter how long a contract is, independent workers become interchangeable, learning nothing of the institutional knowledge that is integral to the entire operation. As well as discouraging us to impart value through knowledge, it may be that the use of gig workers isn’t giving us the ultimate value in receiving knowledge in return. Contractors may be hired in a targeted manner based on the outcomes they can produce and the skills and experience they bring, but is such a short time frame limiting our ability to truly discover and utilise the extent of what our freelancers really know? In this light, a centralised approach to document management does not work – our attempts must be to encourage our gig workers to be transparent in the sharing of their knowledge. Contractors are unlikely to submit their documents and ‘give away’ their knowledge to centralised areas where they have no control over the end user who accesses it once they have moved on. In this new sharing economy, it is essential to have the best systems at our disposal for efficient accessing, retrieval and transfer of the things we know, and the documents they’re stored in. But it isn’t just external knowledge workers that need to be given the most relevant and practical tools for sharing their information within a gig economy. The most accurate insights and information are often to be found from within the company – the internal workforce and management structure that experience the product, customers and business transactions on a daily basis, over the course of years are likely to provide the best ideas for the progression of the organisation as a whole. When continually outsourcing for strategies and concepts, businesses run the risk of actually outsourcing all of their knowledge, and overlooking the assets of their own network of thinkers and employee intelligence. Ensuring that these resources are located and utilised correctly with transparent information sharing will allow organisations to keep institutional knowledge alive during a gig economy, and leverage the knowledge of in-house and temporary workers alike. Noggle is the knowledge management solution that works with the gig economy. In a contractor climate, you need document management software that suits the way we do business today, not yesterday. Noggle creates a secure peer network that syncs and connects disparate locations, so that locating and retrieving files is now the work of moments, not minutes, allowing you to make the most of the knowledge brought to you by freelancers and employees alike. Search and share new depths of content, and easily collaborate on inspiring ways of working. To see how Noggle could make a difference to the way that you manage the files that matter, install our free trial. In the Jan./Feb. 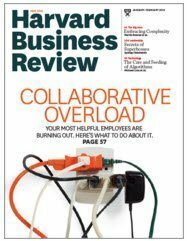 2016 issue of the Harvard Business Review, Rob Cross, Reb Rebele and Adam Grant wrote an article on the topic “Collaborative Overload”. They recommend to leverage technology to make informational ressource more accessible and transparent. Exactly what Noggle provides. Noggle is a peer-to-peer “exchange” for information libraries. To make your information ressources transparent and more accessible. A productivity tool to fight against collaborative overload. Make it happen with Noggle. See in his talk why peer-to-peer information sharing and collaboration with Noggle can help to make you a winning team, even if others may have better information. Why? Because Noggle integrates collaboration with information sharing without complicated central coordination structures. Noggle is a productivity tool focussing on peer-to-peer information retrieval. Start contributing to the effort of others without complicated rules. Start making your team the winning team. Start focusing on getting things done with Noggle.